Kerry County Council was provided with funding of €200,000 in 2012 towards the cost of delivering a cycleway from Tralee to Fenit. My Department is currently administering a multi annual funding programme related to the development of the National Cycle Network (NCN) to cover the period 2012 to 2016. Significant investment has already been made in 2012 and 2013 with €7 million allocated to projects across Ireland. This funding, which is provided to local authorities, will help to deliver cycleways in keeping with the objectives of the National Cycle Policy Framework. As this phase of the programme will expire at the end of 2013, it is my intention to initiate a new funding call later this year to provide, through competitive process, a further tranche of funding for the remainder of the years to 2016. Responsibility for completing the cycleway is a matter for Kerry County Council. If funding beyond own resources is required, then the local authority has the option to progress and submit a proposal to the Department under the next phase, once initiated, of the NCN Funding Programme. 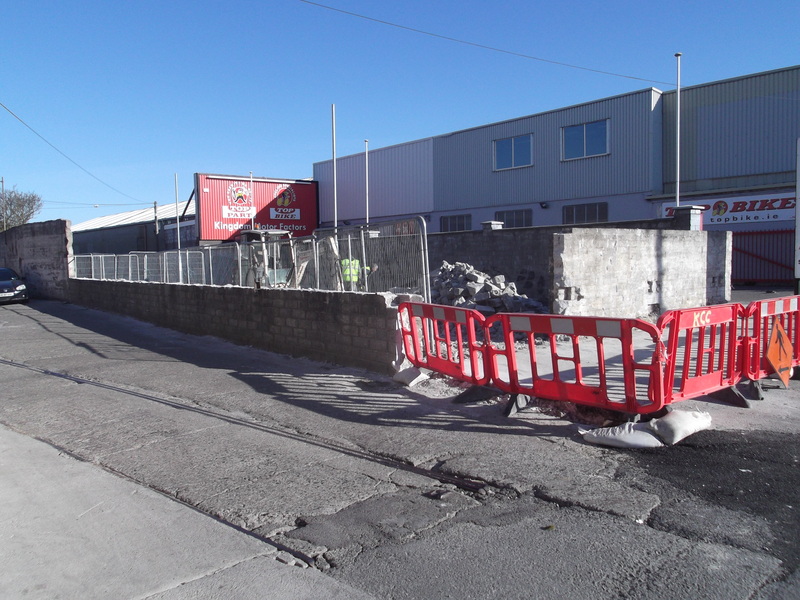 Great to see the progress continuing on the project, this week saw the council begin to remove the wall at Rock Street which now allow view of the path behind it. 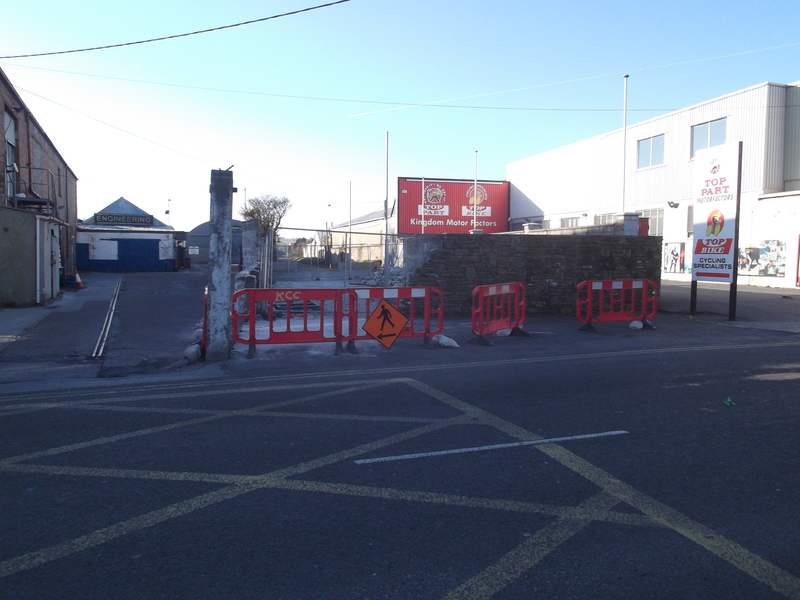 We look forward to accessing the path from Rock Street in the coming weeks !